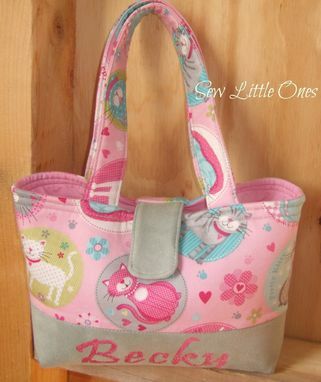 This handbag is perfect for your favorite cat lover. Unlike other handbags, it has an inside depth of 3". Therefore, the bag can hold a vast amount of accessories within it. 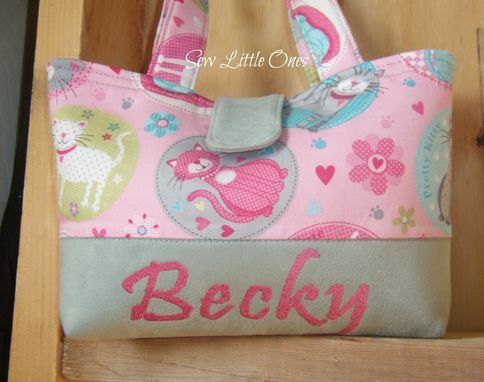 It includes a decorative top stitch with a gray snap flap closure for added durability. 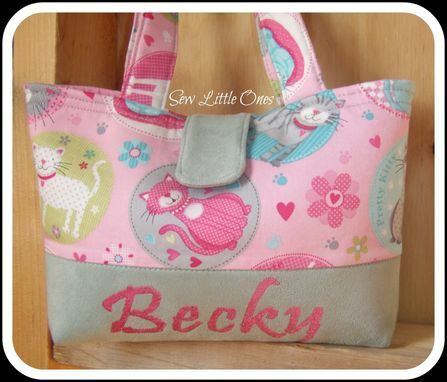 The straps are 12" in length, providing a 6" handle perfectly sized for small hands.